All MOUNTAIN VALLEY homes currently listed for sale in Sandy as of 04/26/2019 are shown below. You can change the search criteria at any time by pressing the 'Change Search' button below. "PRICE REDUCED !!!! 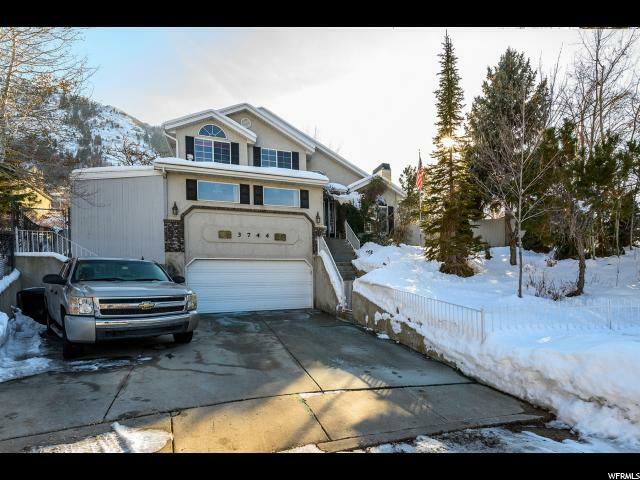 The Apex of Wasatch Front Living, Coveted and Historical. This quiet and private Modern home on .33 acre with no neighbors on two sides awaits the luckiest people ever...Short Walk to La Caille which offers unmatched atmosphere, Vineyards, award winning restaurant and canyon breezes.. Nearby, explore Temple Quarry, Recreational activities in the Little Cottonwood Canyon include hiking, fishing, mountain biking, rock climbing, skiing, snowboarding, and backcountry use. There are two resorts in the canyon, Alta and Snowbird, providing both summer and winter recreational opportunities. The Utah Native Plant Society often conducts wildflower walks at Albion Basin. Bell Canyon trailhead, just off Wasatch Blvd runs east up the mountain. Offering an abundance of wildlife including mountain goats; A series of Waterfalls and Bell Canyon Reservoir. This property also boasts easy access to the City of Salt Lake and all that it has to offer. Sometimes... you can have it all."